As a result of a lot of hard work done by our security research teams, we revealed today a new and alarming malware campaign. The attack campaign, named Gooligan, breached the security of over one million Google accounts. The number continues to rise at an additional 13,000 breached devices each day. Our research exposes how the malware roots infected devices and steals authentication tokens that can be used to access data from Google Play, Gmail, Google Photos, Google Docs, G Suite, Google Drive, and more. Gooligan is a new variant of the Android malware campaign found by our researchers in the SnapPea app last year. Check Point reached out to the Google Security team immediately with information on this campaign. Our researchers are working closely with Google to investigate the source of the Gooligan campaign. Click here to read Adrian Ludwig’s complete statement on Gooligan. We are very encouraged by the statement Google shared with us addressing the issue. We have chosen to join forces to continue the investigation around Gooligan. Google also stated that they are taking numerous steps including proactively notifying affected accounts, revoking affected tokens and deploying SafetyNet improvements to protect users from these apps in the future. In the following sections, we provide more answers regarding the campaign. In our research we identified tens of fake applications that were infected with this malware. If you’ve downloaded one of the apps listed in Appendix A, below, you might be infected. You may review your application list in “Settings -> Apps”, if you find one of this applications, please consider downloading an antivirus product such as Check Point ZoneAlarm to check if you are indeed infected. 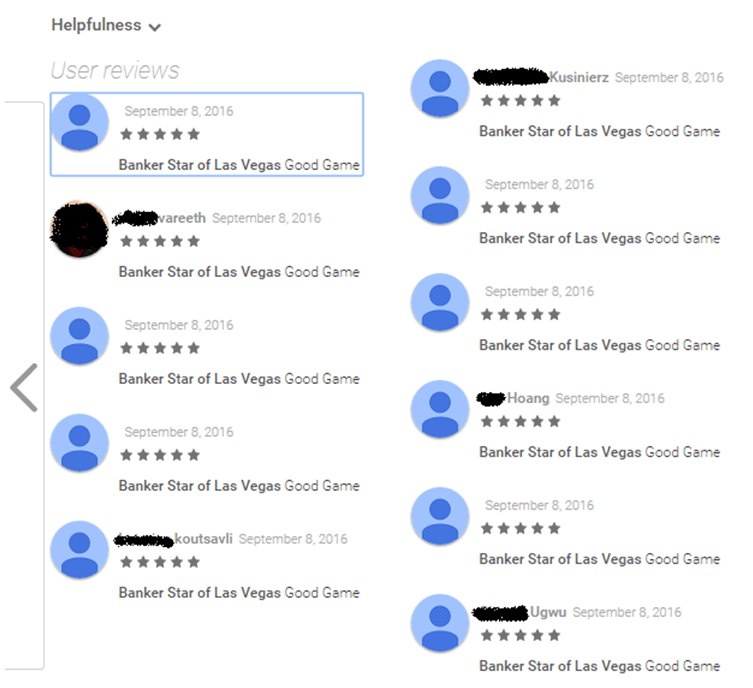 Two examples of reviews left by users who were also found on the attacker’s records as victims. 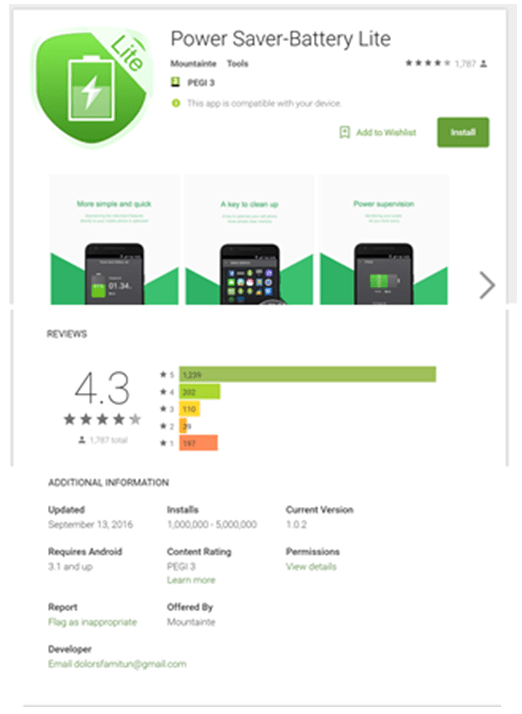 An example of fake reviews and comments to one of the fraudulent applications. The same user discovered two different fraudulent apps were installed on his device, without his knowledge. Similar to HummingBad, the malware also fakes device identification information, such as IMEI and IMSI, to download an app twice while seeming like the installation is happening on a different device, thereby doubling the potential revenue. One of the apps downloaded from Google Play by Gooligan. What are Google authorization tokens? A Google authorization token is a way to access the Google account and the related services of a user. It is issued by Google once a user successfully logged into this account. When an authorization token is stolen by a hacker, they can use this token to access all the Google services related to the user, including Google Play, Gmail, Google Docs, Google Drive, and Google Photos. While Google implemented multiple mechanisms, like two-factor-authentication, to prevent hackers from compromising Google accounts, a stolen authorization token bypasses this mechanism and allows hackers the desired access as the user is perceived as already logged in. 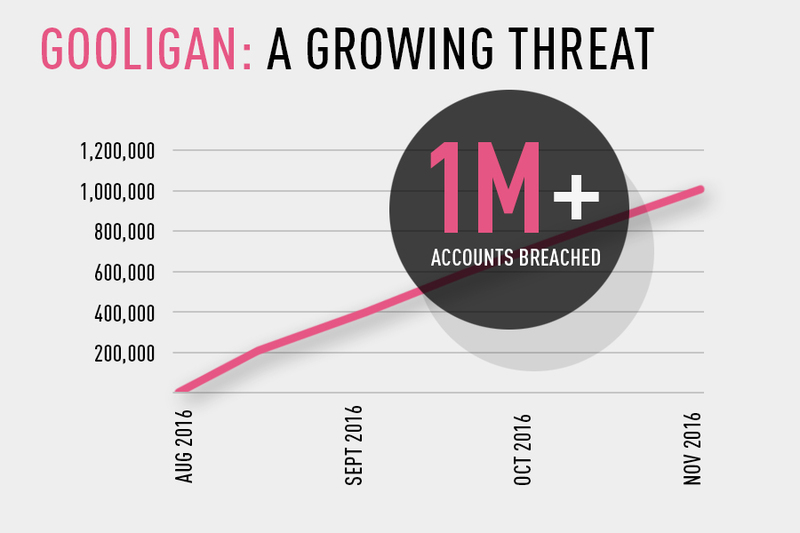 Gooligan has breached over a million Google accounts. We believe that it is the largest Google account breach to date, and we are working with Google to continue the investigation. We encourage Android users to validate whether their accounts have been breached.